Originally these compilation archives were issued in edition of 500 copies and sold 1 per copy from NH mailorder. They were never in wider distribution and pressings have remained smallest CB vinyl editions until now being available again. New versions sound better than old versions, simply due traditional laquer cut masters as opposed to DMM. Slight mastering job has been done, but LP’s remain very faithful for original material. Tracks 1 to 6 are “Demo #1”, recorded and mixed during 1998 in various sessions. Material was re-recorded little by little and there were the final versions to be released as 1st demo. Tracks 7 & 8 are “On The Mission” 7″ / tape, recorded and mixed in 1999, after the debut LP. Vinyl 7″ was with additional few seconds intro. Sound was highly distorted in vinyl mastering. This mix is from tape version with original sound. Track 9 is taken from “Northern Heritage Box” 5×7″, recorded at the same session as “On The Mission”. Original master tape is permanently lost, taken from the vinyl. 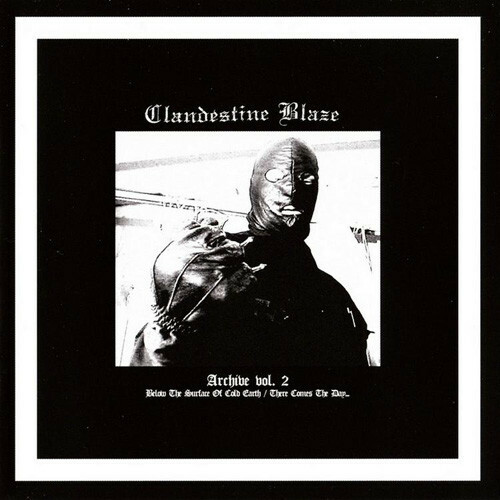 Track 10 is taken from “Blackmetal Blitzkrieg” LP, recorded in autumn of 1999. 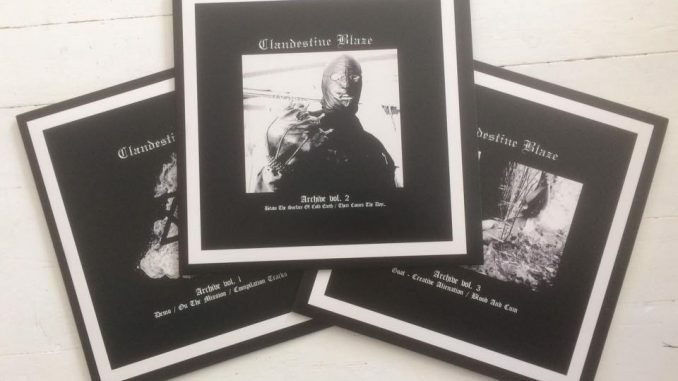 Tracks 1 to 3 are “Below The Surface Of Cold Earth” tape, recorded during February 2002, remained exclusively tape release until now despite being one of most professionally produced Clandestine Blaze recording. Tracks 4 to 8 are “There Comes The Day…” tape, early rehearsal versions of “Fist Of The Northern Destroyer” album from October 2001, including tracks that never appeared on the full length.